Your Guitar Playing to the Next Level? But for Some Guitarists, it’s Just the Beginning... 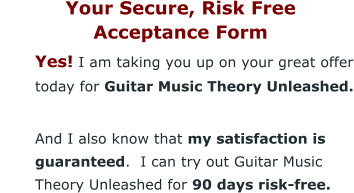 Many guitarists that have purchased the Absolute Essentials of Music Theory for Guitar have discovered just how fun, rewarding and addicting guitar theory can become. After all, once you start having those frequent “ah ha” moments where you’re saying to yourself: “That’s how it works! I get it now!” On top of that, you are learning songs and guitar solos faster, and hearing major improvements in your guitar playing... It becomes pretty easy to want more. 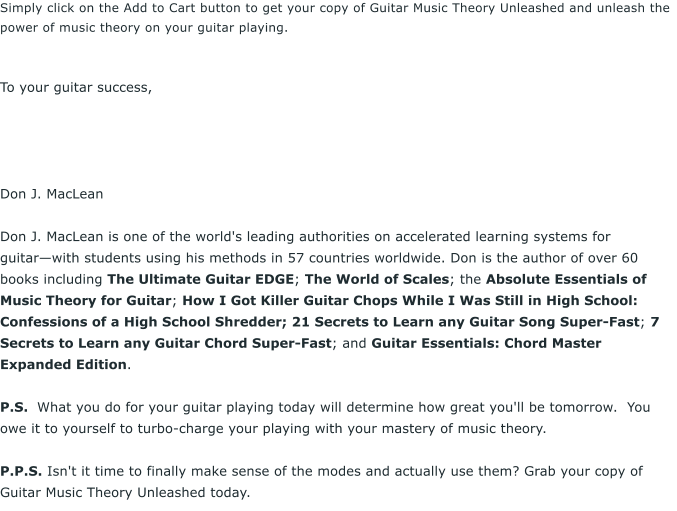 Well, that’s why I created Guitar Music Theory Unleashed. 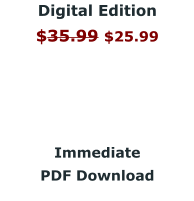 I could have called it the Absolute Essentials of Music Theory for Guitar Volume 2, since it picks up right where the Absolute Essentials of Music Theory for Guitar leaves off, but decided not to. After all, if the Absolute Essentials of Music Theory for Guitar covers the absolute essentials of music theory, then how could these other concepts be essentials too? Well, they can’t be. 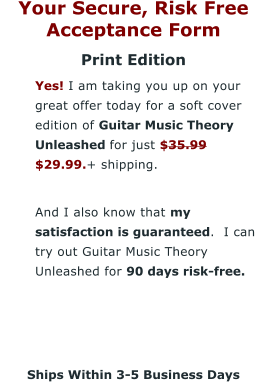 What you will find in Guitar Music Theory Unleashed is the guitar theory that will take your playing and understanding of music to the next level and beyond. In Guitar Music Theory Unleashed you'll learn all about four-part chords. You'll learn what the 17 different types of four-part chords are, how to play them in all inversions and of course you'll learn how to use them. 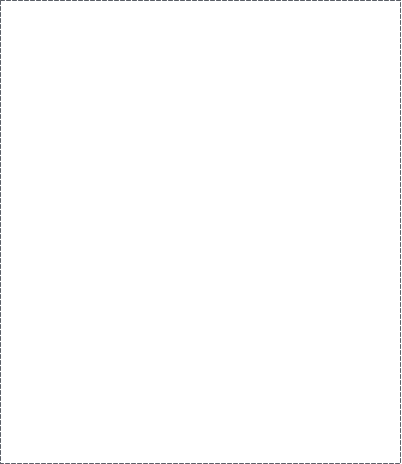 Pages 3-20. You'll learn four-part chord-scales (this means you'll learn how to build 7th chords off of each note of the major, minor, harmonic minor and melodic/jazz minor scales. Pages 23-36. 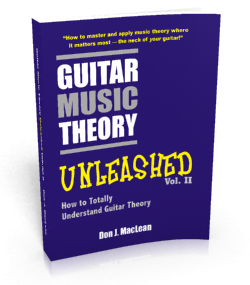 In Guitar Music Theory Unleashed you'll learn all about chord progressions. You'll learn the most popular chord progressions and see how you can identify them on paper and by ear. This means you'll be able to recognize and understand the chord progressions used in your favourite songs, or just about any song for that matter! You'll also learn how to create your own chord progressions. When you understand chord progressions you'll give yourself a powerful accelerated learning tool. Instead of learning songs by rote, you'll now have an easy-to-use numbering system for learning the chords of songs in any key. And by the way, the numbering system for understanding chord progressions is really, really simple—you just need to count to seven to use it! 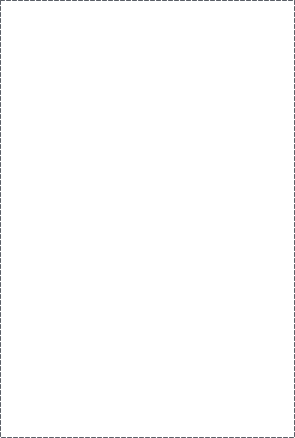 Pages 39-51. If you’ve been playing for a while, you’ve probably heard about those ridiculously complicated sounding things called the modes. I call them “ridiculously complicated sounding things” simply because… Most books and teachers make these scales RIDICULOUSLY more complicated than they have to be. Now don't get me wrong—they are not intentionally doing this—it's just because they've never been shown a better way. The modes are one of the most important areas that every guitarist must know—unless you don’t want to learn songs faster, and create absolutely killer guitar solos and songs of your own. 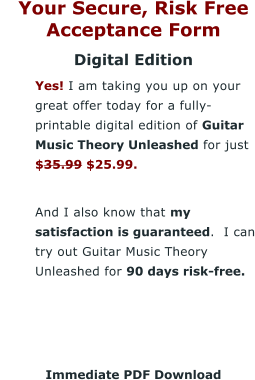 Get your copy of the Guitar Music Theory Unleashed today, and try it out risk-free for 90 days. 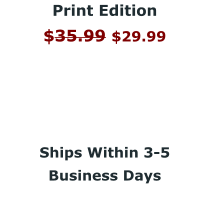 If it doesn't dramatically improve your understanding of music theory, improve your knowledge of the guitar, or if you decide for whatever reason, that this book is not right for you, simply return the book in as bought condition for a full refund. 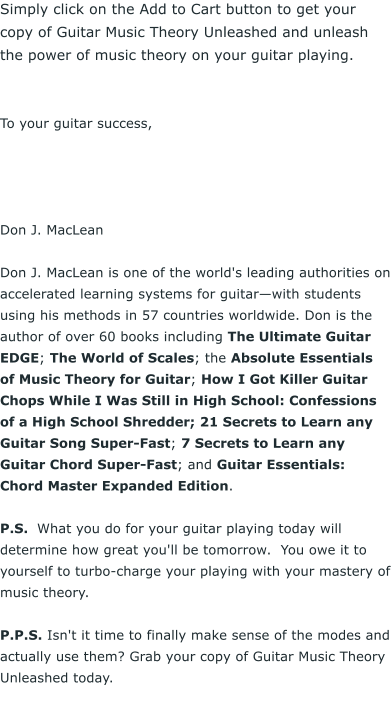 Isn't it time to dramatically improve your guitar playing and understanding of music?